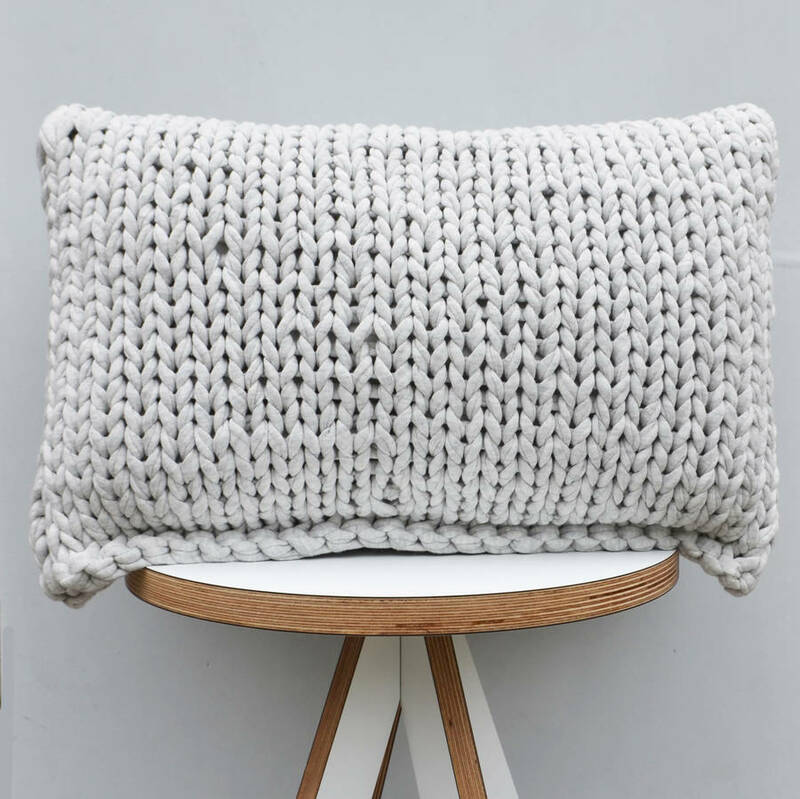 A hand knitted grey rectangle cushion. 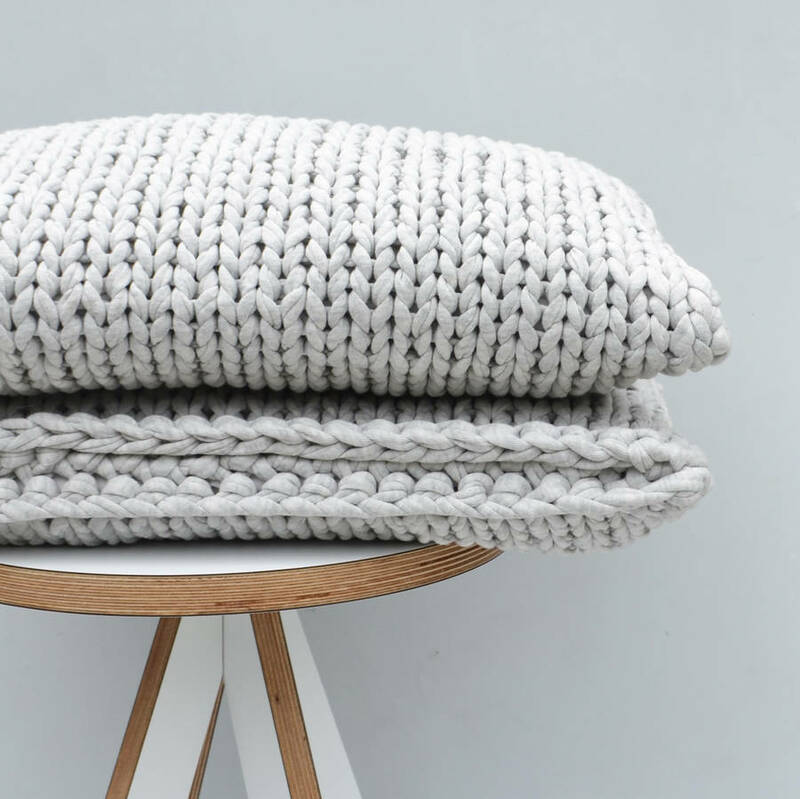 The perfect cosy addition to any bed room or living room. The neutral colour fits in well with most colour palettes and adds a contemporary feel to any interior. 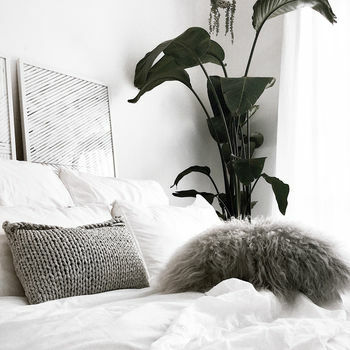 It is sure to become the statement of any room. Due to the nature of the yarn every product can vary slightly. 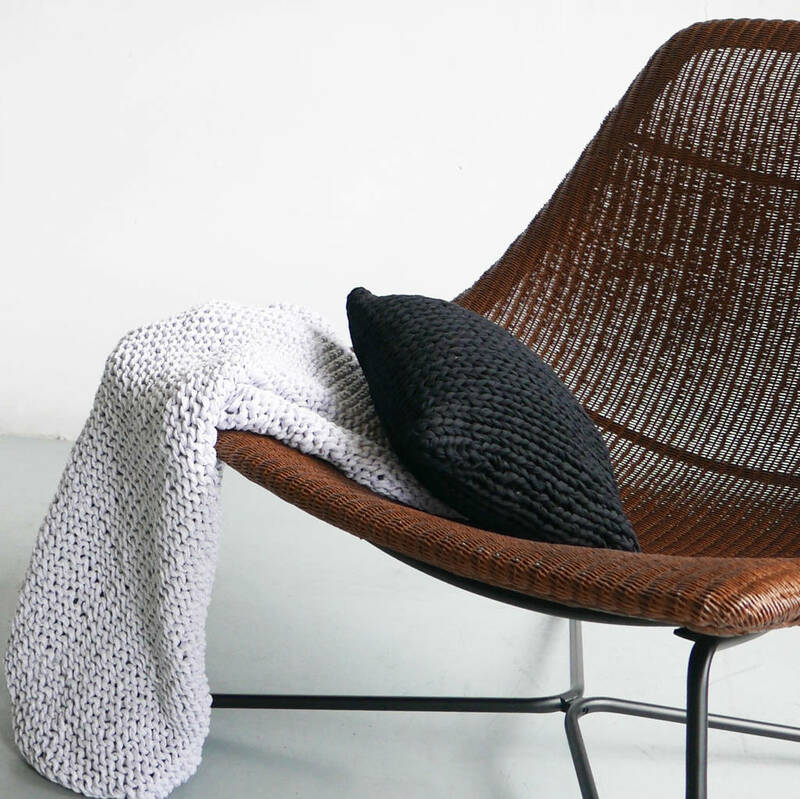 Hand knitted with cotton yarn, that meets the European REACH standards for the safety of dying chemicals. Includes microfibre pad, however please let me know if you would prefer duck feather. If any spills occur, spot clean and don't be afraid to give the wedge a bit of a shake to get it into it's original shape. This product is dispatched to you by Jessica Lee.